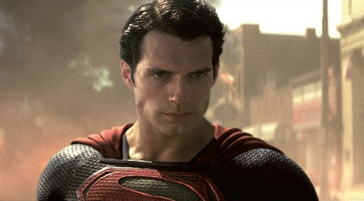 The Dean T Fraser Blog: "Man of Steel" Brings the Fight! I saw Man of Steel on Friday! I'll simply offer my 5 word review - I really, REALLY liked it! At first I was put off by many critics' frosty reception to the film - but having now seen it for myself, I don't know what I was worried about! It appears Superman saw fit to bypass the professional critics as well. If the opening box office is any indication, average people like me are believing in the Man of Steel too. Am I un-biased? No. Are you? I doubt it. We filter things differently. Admittedly, I'm a sucker for superheroes. I filter movies differently than many critics do, that's for sure. In that sense, they really didn't see the same film I did. Anyway, I could attempt a point-by-point rebuttal to many of the criticisms pointed towards the film, but that really seems silly. You know what you like and what you don't like. Trying to talk someone into liking a film they didn't like to begin with? Where's the enjoyment in that? Trying to talk someone out of liking a film that they clearly do like? What's the point? To the Man of Steel devotees and detractors on forums and messageboards - whether you loved it, hated it, or otherwise; the film is 2hrs & 23mins out of your life, please keep it in perspective.